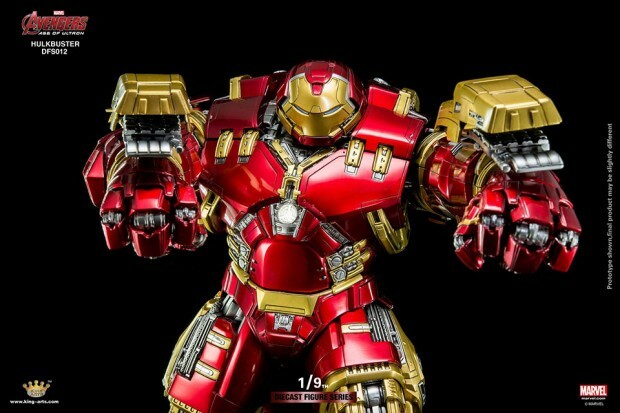 King Arts’ 1:9 scale diecast Hulkbuster action figure has 16 LEDs, detailed construction and a shiny paint job, but those are just icing on this badass cake. That’s because the 16″ toy has room for King Arts’ 9.5″ 1:9 scale Iron Man Mk. XLIII inside its chest, just like its big brother the movie.
" 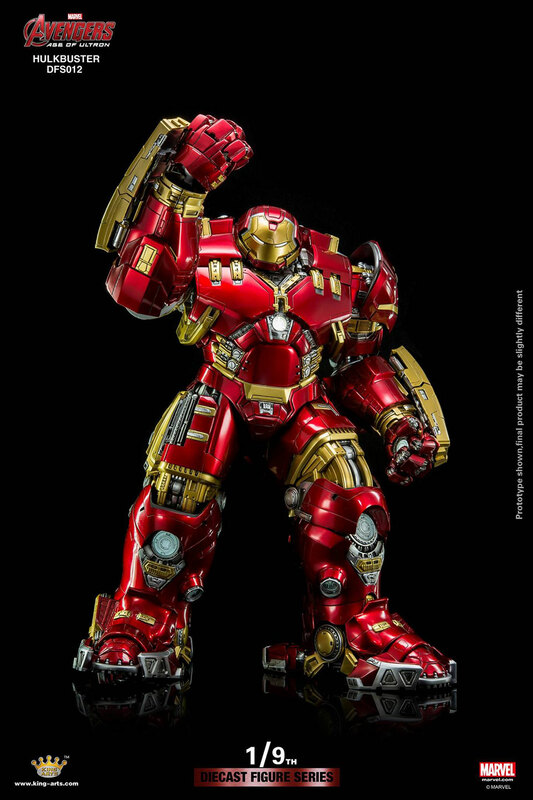 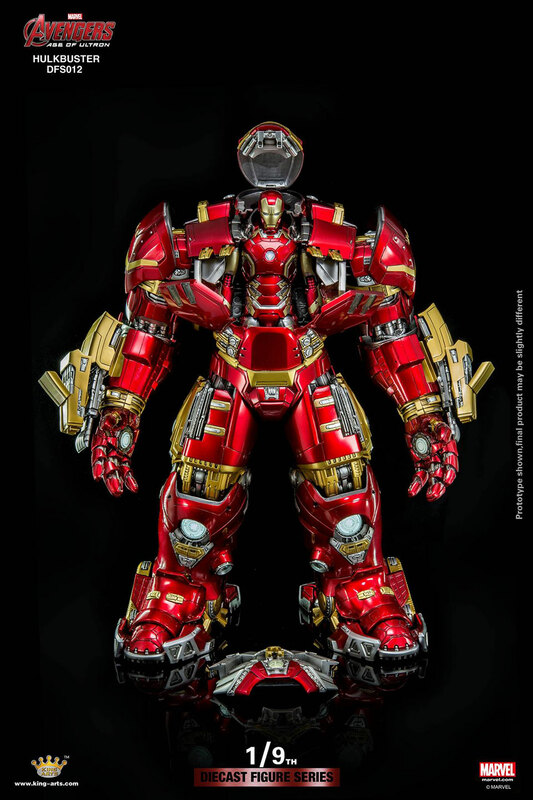 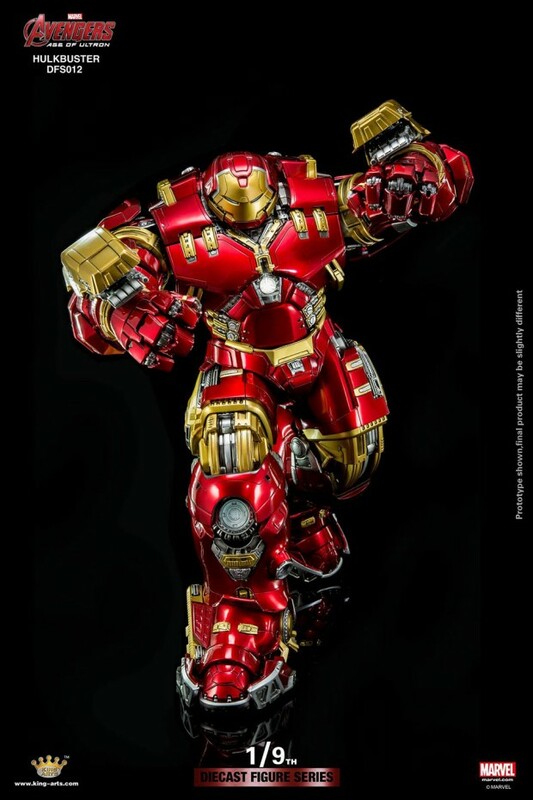 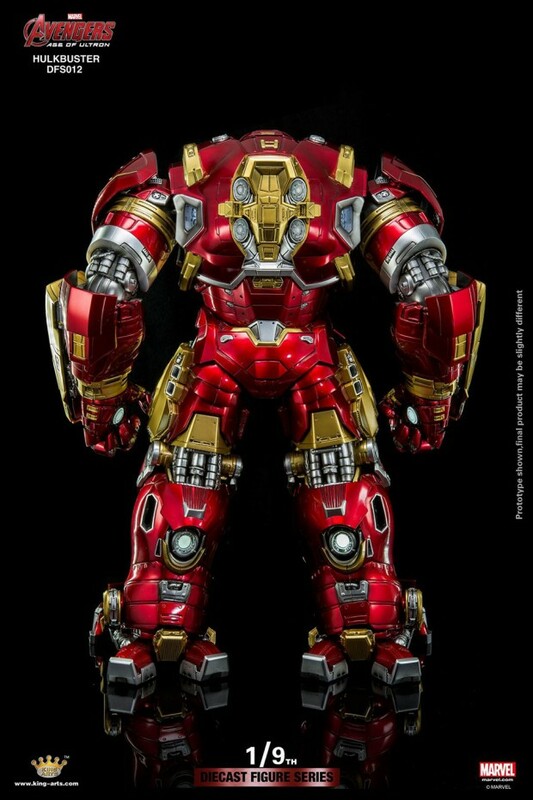 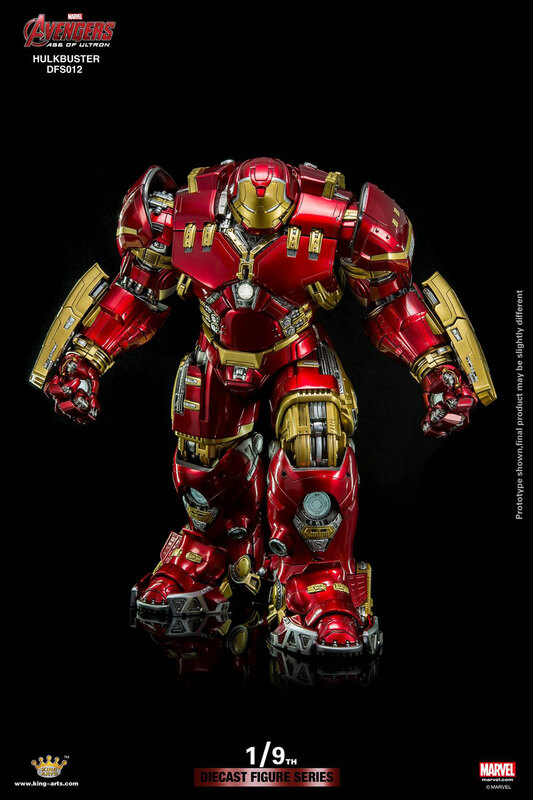 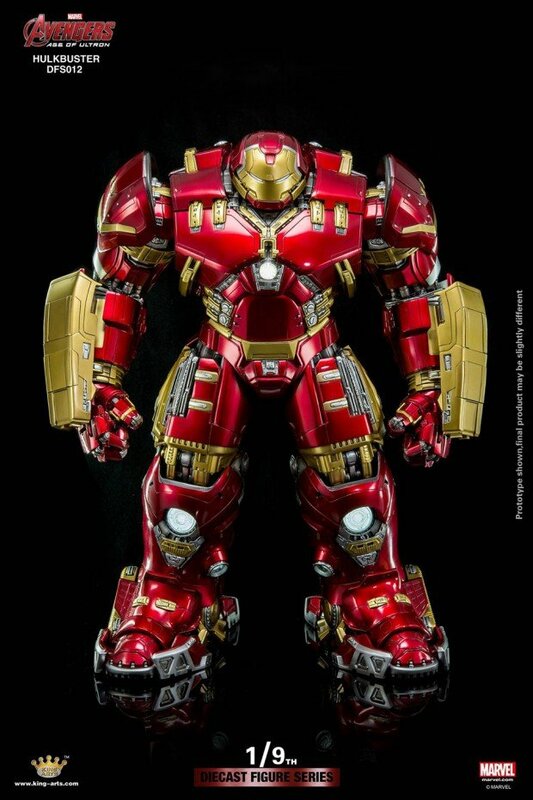 King Arts 1/9 Diecast Action Hulkbuster Frist Preview " More News Coming. 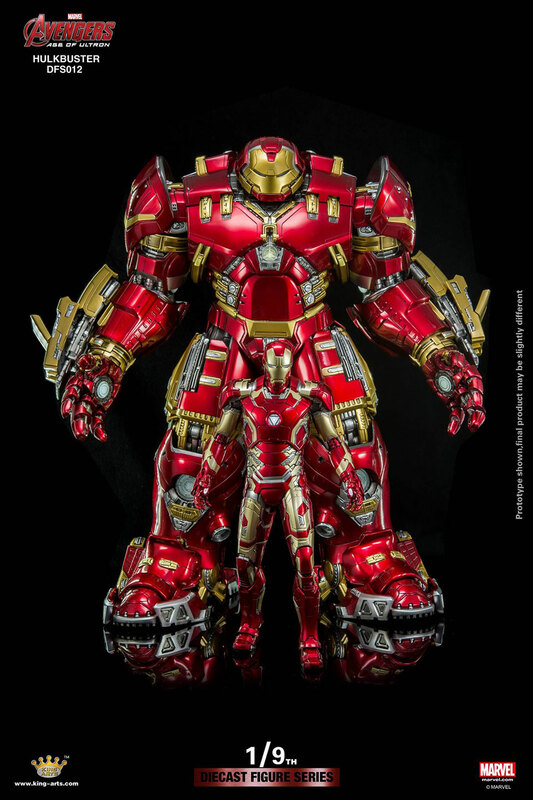 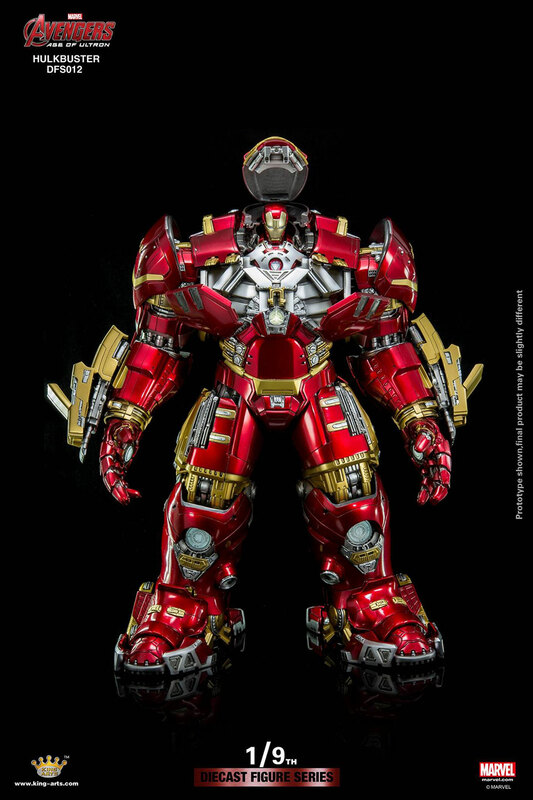 You can pre-order the King Arts 1:9 Hulkbuster from BigBadToyStore for $650 (USD); the matching Iron Man figure is also on BBTS for $190.